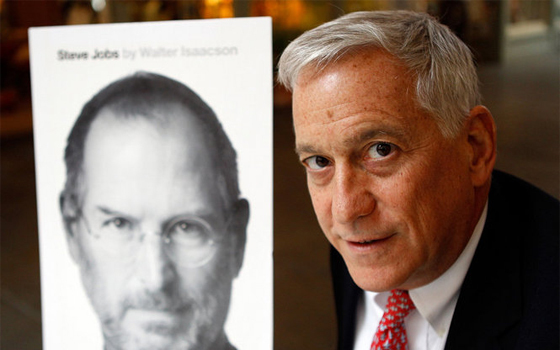 Author Walter Isaacson recently visited his alma mater, Harvard University, to discuss his best-selling biography, Steve Jobs. Isaacson spoke at the Harvard COOP bookstore and answered questions from the audience before signing copies of his New York Times best seller. 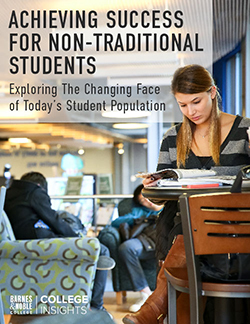 Porter noted the Harvard COOP was particularly busy the day of the book signing. Several reunion and alumni groups were on campus and it was also graduation week. The author was in Boston that week as a part of the John Harvard Book Celebration at Boston Public Library’s Central Library and agreed to appear at the bookstore the following day. In 2004 Steve Jobs asked Isaacson to author his biography after he was diagnosed with pancreatic cancer. Isaacson was surprised that Jobs had asked for a biography at such a young age – he was only 49 years old. After discovering Jobs was gravely ill, Isaacson accepted and began interviewing the Apple founder in 2009. Over the course of the next two years, Isaacson conducted more than 40 interviews with the “brutally honest” Jobs while also interviewing over 100 of Job’s closest friends, family members, co-workers, and competitors. “It’s a book that’s fair. I mean this is a real human being,” said Isaacson. Named one of the top 100 most influential people in the world in 2012 by TIME Magazine, Isaacson is quite accomplished. After graduating Harvard University, then Oxford University, Isaacson began a distinguished career in journalism as a reporter before becoming chairman and CEO of CNN and the Managing Editor of TIME. Today, he is the current president and CEO of the Aspen Institute. Isaacson has authored several biographies including Steve Jobs (2011), Einstein: His Life and Universe (2007), Benjamin Franklin: An American Life (2003), and Kissinger: A Biography (1992). He also coauthored The Wise Men: Six Friends and the World They Made (1986).